If you are a resident of San Francisco and would like to request information or register a concern about a City service, program, or department, please email MayorLondonBreed@sfgov.org. During business hours, please call the main line at 415-554-5977. 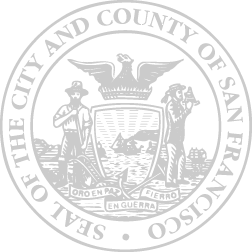 If you are a member of the media and would like to make a press inquiry, please email mayorspressoffice@sfgov.org. During business hours, please call the main line at 415-554-6131. If you would like to request a Certificate of Honor, Proclamation, or greeting letter, please email your request to the Mayor's Office of Neighborhood Services at commendations@sfgov.org for consideration. Please provide information about the accomplishments or legacy of the individual or organization for which you are requesting the commendation, as well as the date you would like listed on the commendation. Please note that commendations it takes a minimum of 2-4 weeks to produce a commendation.